TEN, WIN in affiliate talks. A 27 year affiliation with Nine and WIN could come to and end if talks between TEN and WIN prove fruitful, with reports WIN chief executive Andrew Lancaster met with TEN executives last Thursday. The Australian reports the discussions were conducted amid an ongoing stand-off over revenue, with Nine seeking to increase the 39% of revenue it currently receives from WIN. An existing affiliate deal between TEN and Southern Cross also expires in June. WIN mogul Bruce Gordon is also the biggest shareholder in both Nine and TEN. But there is still much to be resolved in the sector while the government’s media reform look set to be delayed: On New Year’s Eve Nine and WIN agreed to extend their current affiliation deal until June 30th; WIN currently has legal action pending against Nine over Live streaming into its regional markets; Nine recently acquired a 9.9% stake in Southern Cross Media; Bruce Gordon has been behind a recent raid on Nine shares as part of a complex deal with Deutsche Bank. Why does the government have to make this so hard? Regional TV would be a lot easier is Nine, Seven and Ten could just broadcast everything themselves into the regional market without having to affiliate other stations and argue with them about prices, live streaming etc. So if WIN moves onto an affiliation with Network Ten where would Nine Network go to? Maybe Nine will try to bring in their (Nine Network owned) NBN channel into the areas where WIN was their affiliate. Or maybe they move to Southern Cross (which already has hundreds on radio stations across metro and regional Australia). A solution that could work (since TEN and Nine are both partly owned by Bruce Gorden) but is highly unlikely is that WIN broadcasts both Nine and TEN’s channels (which would be very expensive on WIN’s end). Anyway I bet Nine and Southern Cross Media (which in my opinion should stick to radio) are working on backup plans in case WIN and TEN join forces. I think a Ten/Win affiliation would work well. It’s probably a better fit than a Ten/SCA arrangment who have a lot of radio stations to sort out. Ten could add Wins Gold shopping channel to the network. So the Bruce Gordon owned Win is talking about moving it’s affiliation from the partly Bruce Gordon owned Nine Network to the partly Bruce Gordon owned Ten network? Ok this is hard for my head to get around. Will we be seeing TEN on WIN in the not to distant future. Where will we be seeing 7 & 9 in the future and with southern cross selling their TV interests will 7 or 9 buy southern cross? Nine’s asking Bruce Gordon to pay top rates for a low rating affiliation. Prime and 7 will not be parting ways. If WIN goes with TEN then of course Southern Cross will have to go with Nine. 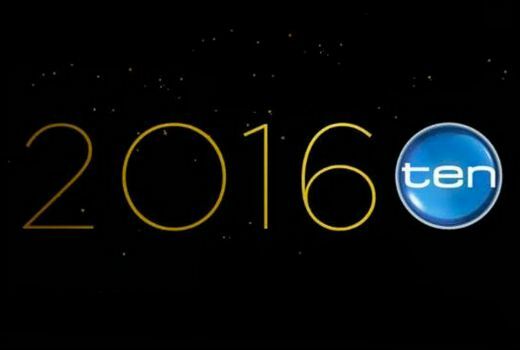 Nine will be at or near the bottom for the rest of 2016, with Master Chef and Survivor on TEN and the Olympic Games on 7. The only concern is about WIN WA (WIN) and 10 West (Prime + WIN). What if SC buys a WA station? Now that Macquarie Bank has sold up all their interest in SCA it’ll be interesting to see if they really want to continue running (effectively) 4 expensive radio networks (1 a huge loss maker at present) or having to take TV programming from low rating TEN and/or Nine networks. The future looks bleak for SCA – regardless. The major issue surrounding regional Western Australia, is a ad revenue-based issue. Current revenue setup: WIN, ad revenue for 9 programming+half of Ten West’s, GWN ad revenue for 7 programming+other half of Ten West’s revenue. If Win WA were to suddenly, say, go to taking 10 programming July 1, (thus the ad revenue currently split between GWN/Win through Ten West, were to go fully to Win) then the GWN/WIN 3rd network J/V, would be splitting a much larger ad revenue pool with the station gaining Nine affiliation: which leads to: WIN WA: 10 ad revenue+half of 9WA and GWN 7 ad revenue+other half of 9WA ad revenue. Simply put, a lot more money would move about, in a 10/9 switch scenario in the West’s regional areas. Sounds like Mr Gordon’s anticipated game of chess over which network will supply WIN with programming. He’s yet to threaten “we’ll programme our own network” which, no doubt, will come about mid-June. Let’s hope they don’t try that again. I’m still suffering PTSD from WIN showing The Brady Bunch in prime time the last time they had a stoush with Nine.